Silverline Designs: Yikes, a sketch challenge! I saw my first robin while hiking in the forest behind my house yesterday! Spring has arrived...can't wait for the sun to shine and dry up all the mud! 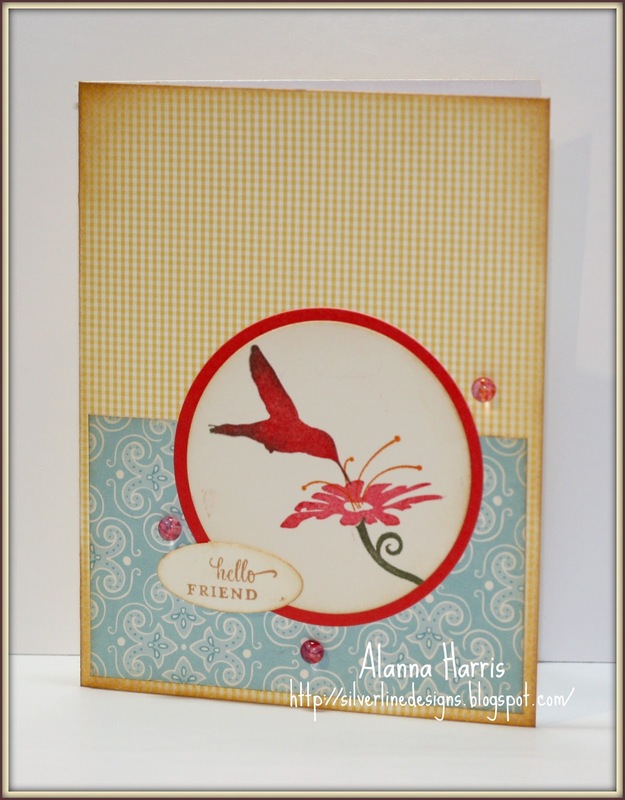 I am so excited to make a warm weather card for this challenge. I submitted to the last Paper Crafts call (no luck this time) and was making Halloween cards!! The hummingbird and flower are all stamped in one layer...used a bit of rock and roll on the bird & flower for depth. All the edges are distessed with tea dye ink. I decided to embellish with bella baubles (say that 10 times fast!) because everything on the card was so flat - they add some needed dimension.